Beautifully renovated 2-storey home in desirable Lk Bonavista Estates. This home offers an open floor plan, which is a rare find in this area. Abundant natural light flows through this home, due to many large windows throughout. 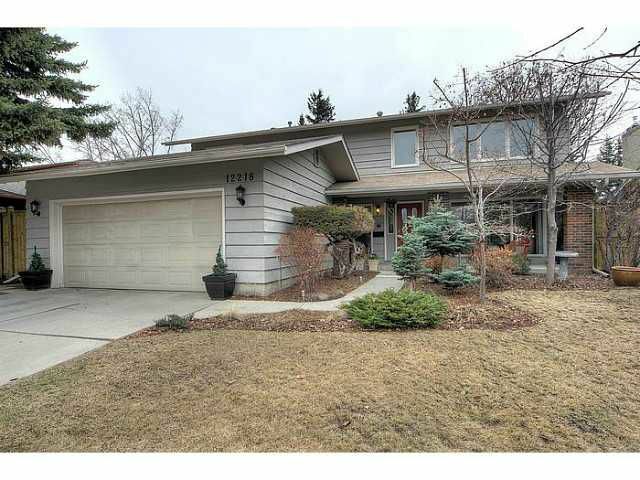 Amazing, professionally landscaped private yard with excellent living spaces. Open main level floor plan is well thought out, & flows nicely across the entire level. Open den area makes for a great office, or a homework space where you can monitor your children as they work. 4 spacious bedrooms upstairs including a huge master with fireplace. Bright, renovated basement with great living area, hobby room, 3pc bath & lots of storage. Many updates in 2014, including: refinished hardwood, new kitchen appliances & backsplash, updated fixtures, paint throughout & basement carpet. Other recent updates include: New fence/deck, new lighting, basement bath reno, kitchen counters + sink, some new window coverings & more. This wonderful family home is located close to all amenties & the Lake.